At Precision Door Service of Columbus Inc, we gratify ourselves on providing our customers with the highest customer service and satisfaction in the industry. We are seeking ambitious lively potential applicants to join our team. Ideal candidates are highly motivated to perform to their highest level and continue to grow and develop in the work field. If the job listings below meet your potential, please select "Apply" to join our team! 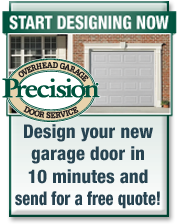 Since Precision Door was established in 1986, it has since grown into the largest garage door company in the United States with more than 75 franchise locations. Our Columbus location opened its doors in 2000 and has been family owned and operated ever since- we look to build onto that tradition. Specializing in sales, service and installation of residential garage doors, our reputation in the marketplace is second-to-none. 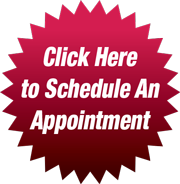 If you have no previous garage door installation and repair experience, we welcome your application. Our training program is specific to Precision- we’ve created a comprehensive training program that ensures your knowledge and success as a Precision garage door technician. This is a great career opportunity with room for growth! The Columbus market has been a family owned operation since its inception in 2000. We're a close-knit team and are looking to build upon that tradition! A garage door sales technician (experience not required). You will be working in the field, repairing, replacing, maintaining and installing garage doors, openers and all associated hardware. This is a sales technician opportunity; technical aptitude is just as important as sales ability. We will provide training specific to our company, internally. With that, customer education and preventative maintenance are part of Precision’s philosophy and are practiced everyday. Having your own truck, ladder rack, and lock boxes are a plus, but the potential for a company truck exists. We welcome applicants without a truck of their own. Good communication and technical skills. 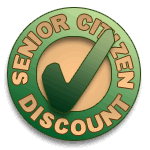 Valid and up-to-date driver’s license and insurance required. A 2-4 week training program which includes sales and technical training.